Vacation Bible School or VBS is a classic church offering, and can be a great time to get kids involved in church activities. Make sure everyone in the church community (and others too!) 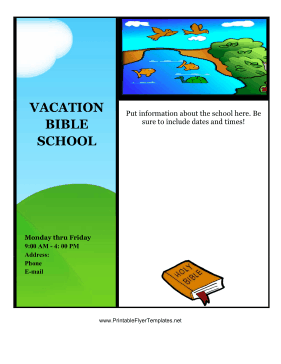 know about your great vacation bible school by putting out this wholesome flyer, which has a fish and Bible on it.